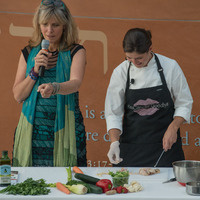 Taste for the Cure will explore breast health with panel discussions with UCSF clinician and researchers, have science and cooking demonstrations, and provide information about programs and resources offered by the Breast Care Center. This year’s panel topics are Wisdom for Cancer: Information is Power and Things that Matter at Every Age and Every Stage. Please join us for all or part of the event. For registration and more details please visit https://tasteforthecure2017.eventbrite.com. Full agenda and all participating UCSF faculty and staff will be included here.